Scott Essential provides reliable balance of efficiency, performance and value. 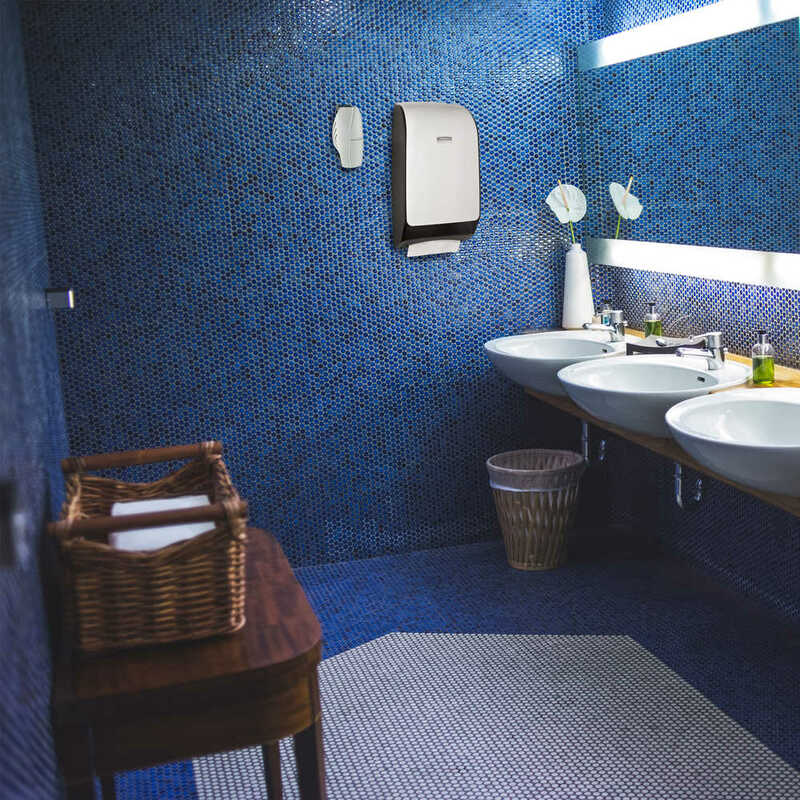 Maintaining a clean, fresh-smelling restroom is essential to your business’s quality image. 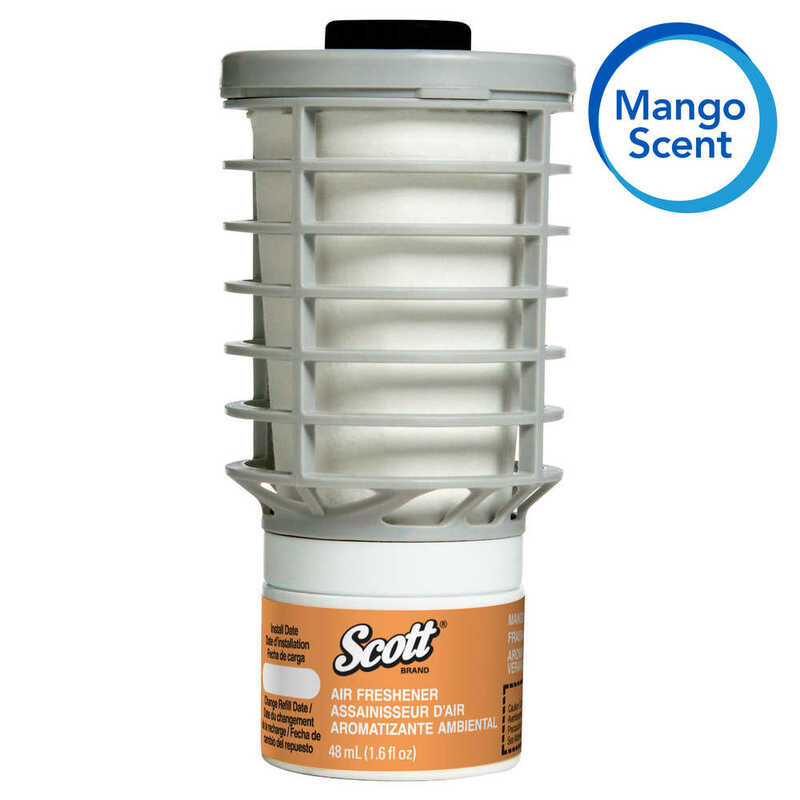 The Scott Essential Continuous Air Freshener System it easy with five fresh fragrance options, including the Mango scent. 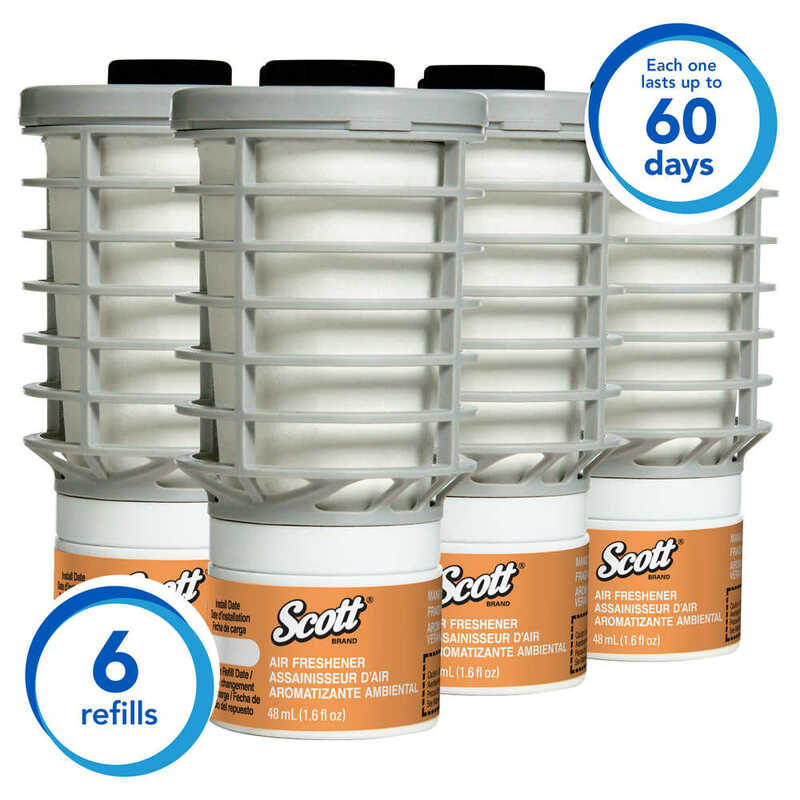 The Scott Essential Air Freshener Refill gives you continuous, unobtrusive dispensing (unlike sprays). 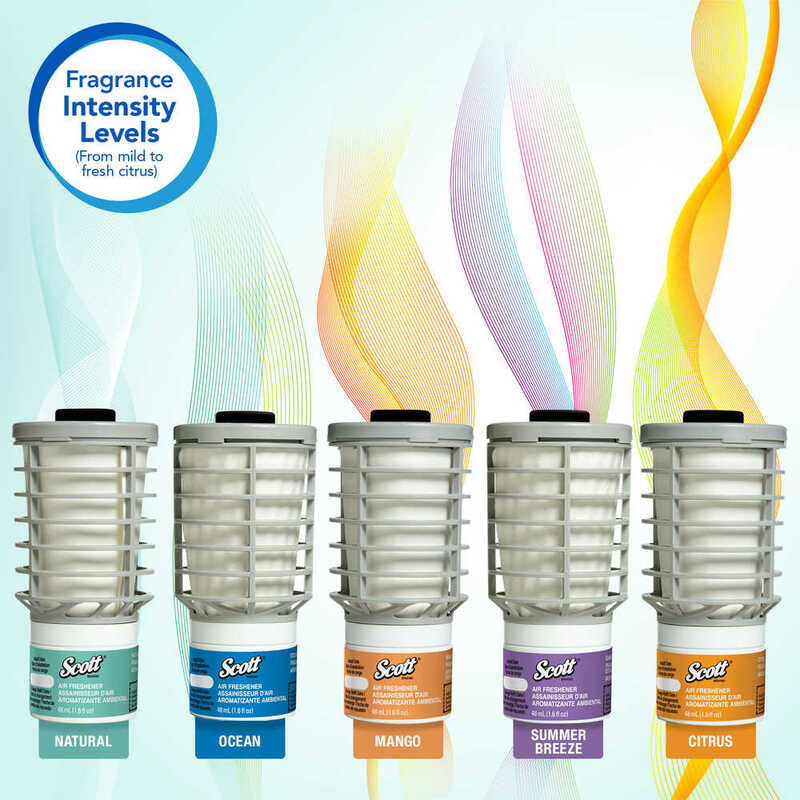 The automatic air freshener acts as an effective odor neutralizer, which works for 60 days. 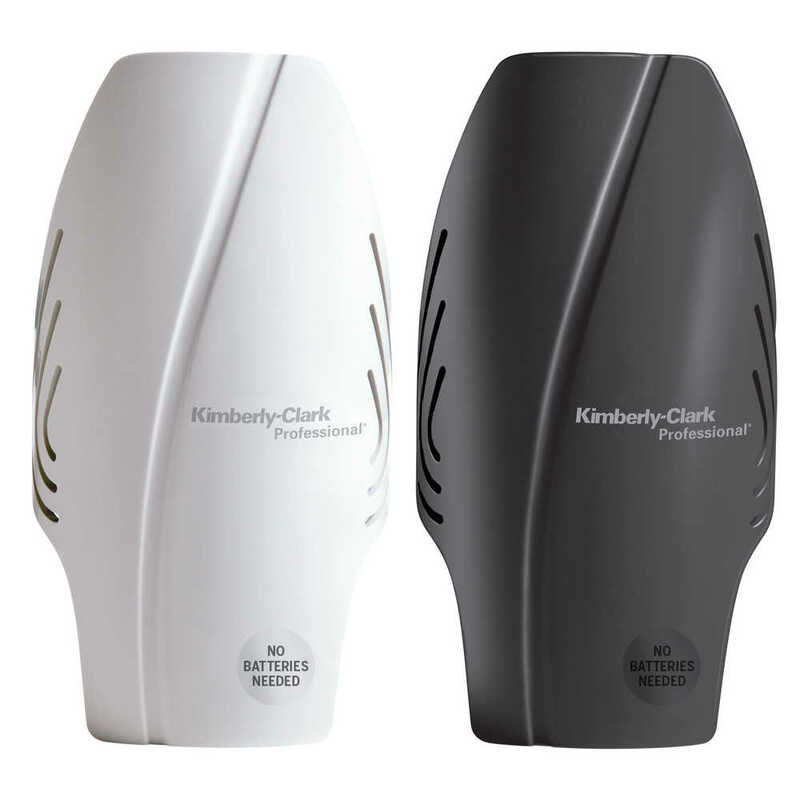 The entire system is economical and easy – it takes less than one minute to install the compatible wall mounted Kimberly-Clark dispensers and with the passive system, there are never any batteries to buy. Because it is non-aerosol (doesn’t contain propellants or added VOCs), it’s preferred by environmentally conscious businesses. 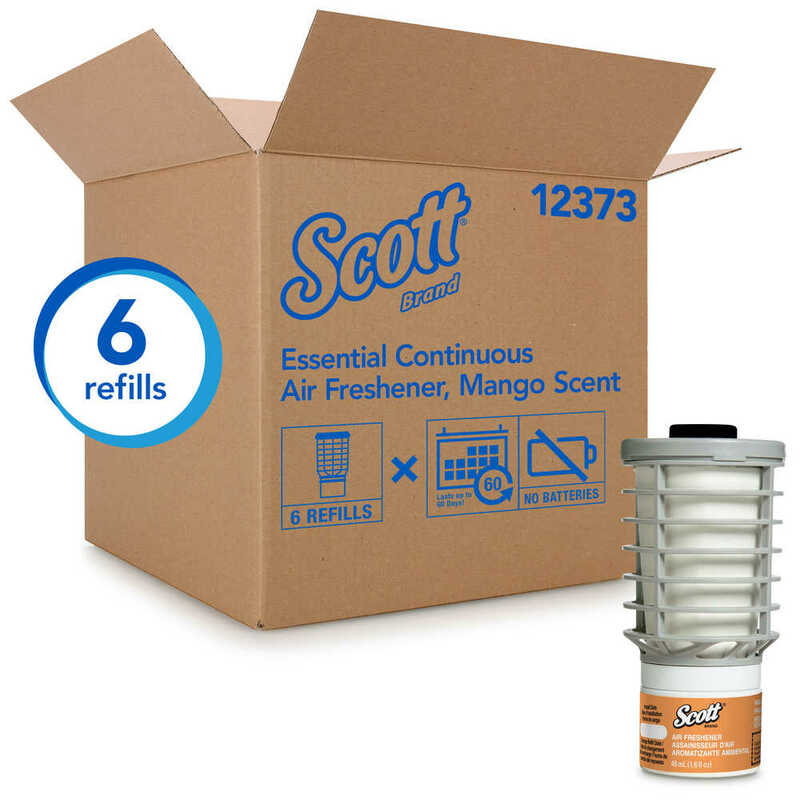 When you’re ready to give your restroom guests (even in commercial or industrial business settings) a refreshing scent experience, choose the effective Scott Essential Continuous Air Freshener System.